OMAHA, Neb. (AP) — A former doctor was sentenced to death on Friday for the revenge killings of four people connected to a Nebraska medical school, including the 11-year-old son of a physician who helped fire the man from a residency program nearly two decades ago. 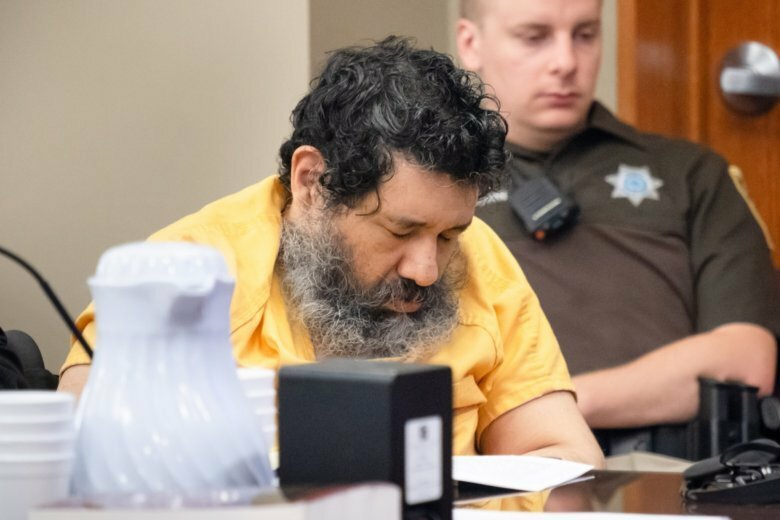 Anthony Garcia, 45, of Indiana entered the courtroom in a wheelchair and appeared to sleep through the hearing as a three-judge panel sentenced him to death. The judges, who heard arguments earlier this year during the sentencing phase of Garcia’s trial, also had the option of life in prison. Garcia was convicted in 2016 for two attacks — that occurred five years apart — on families connected to Creighton University School of Medicine in Omaha. Prosecutors argued the killings were motivated by Garcia’s long-simmering rage over being fired in 2001 by Dr. William Hunter and another Creighton pathology doctor, Roger Brumback. Some of the victims’ relatives testified Friday, including Jeff Sherman, whose mother was fatally stabbed alongside Hunter’s young son when she worked at the Hunter family’s home in 2008. Investigators said Garcia fatally stabbed 11-year-old Thomas Hunter and 57-year-old Shirlee Sherman at the family’s home in an upscale Omaha neighborhood. Police collected a slew of evidence but struggled to find a suspect in the killings. The case went cold in the following years. But that changed with the 2013 Mother’s Day deaths of Brumback and his wife, Mary, in their Omaha home. Police recognized similarities in the 2008 and 2013 killings, and Garcia was quickly eyed as a suspect. He was arrested two months later during a traffic stop in southern Illinois. “You can’t begin to enumerate what an event like has had on us, on the entire community,” she said after Garcia was sentenced. Garcia’s parents and brother, who live in California, also attended the hearing. They were tearful as the verdict was read. His brother, Fernando Garcia, said it was hard for his family to imagine his brother committing the crimes. During the trial, prosecutors presented massive amounts of circumstantial evidence, including credit card and cellphone records placing Garcia in and around Omaha the day the Brumbacks were killed. One receipt showed Garcia eating a meal at a chicken wings restaurant within two hours of when police believe the Brumbacks were attacked. Prosecutors also presented evidence that Garcia had sought to attack another Creighton medical school faculty member on May 10, 2013 — the same day the Brumbacks were killed. Prosecutors said Garcia pushed in a back door of that woman’s home but fled when the home’s alarm went off. Police believe he then found the Brumbacks’ address on his smartphone and attacked them. Roger Brumback was shot in the doorway of his home and then stabbed. His wife was stabbed to death, much the same way Thomas Hunter and Shirlee Sherman had been stabbed, according to investigators. Nebraska had not executed an inmate in more than 20 years until last month, when Carey Dean Moore died by lethal injection for the 1979 shooting deaths of two Omaha cab drivers. However, the state’s mode of execution remains riddled with controversy and legal challenges in the face of difficulty in obtaining some of the drugs used to carry out lethal injection. Under Nebraska law, Garcia’s sentence will be automatically appealed. Friday’s sentencing was briefly interrupted when the lead judge in the case suffered a medical emergency and had to be carried from the courthouse on a stretcher. Gage County District Judge Rick Schreiner took over, explaining that Randall had undergone a medical procedure earlier in the week that caused him extreme back pain.